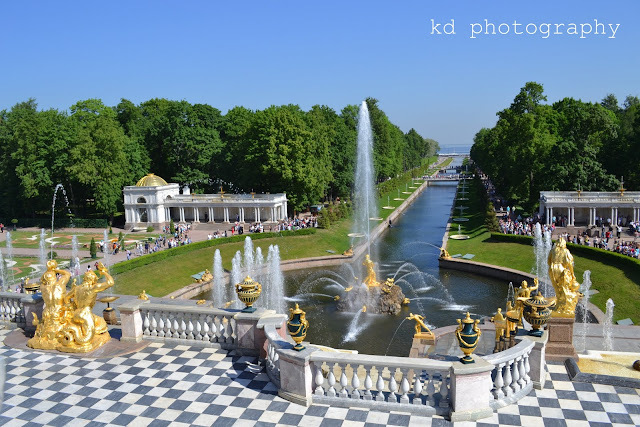 On our second day in St. Petersburg, we toured Peterhof, one of most famous ensembles, sometimes dubbed "the capital of fountains," a magical sight of water and gold, marble and bronze, magnificent paterres and age-old trees. (Source: Peterhof Guide Book) I was straining already from all the walking we did at Catherine's Palace, the Hermitage and a night show of Russian folk dances the day before, but once I saw how beautiful and inviting Peterhof was, I forgot how tired I felt and just snapped photos the entirety of our visit. 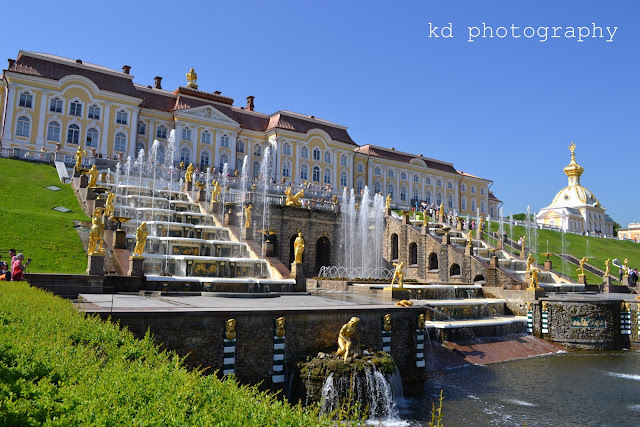 Although we didn't tour the interior of Peterhof, I think that the gardens and fountains are much more beautiful especially that the blue skies and warm weather framed the impressive palace and its enticing gardens and fountains. The Cathedral of St. Apostles Peter and Paul. This cathedral is walking distance from the Peterhof Palace. 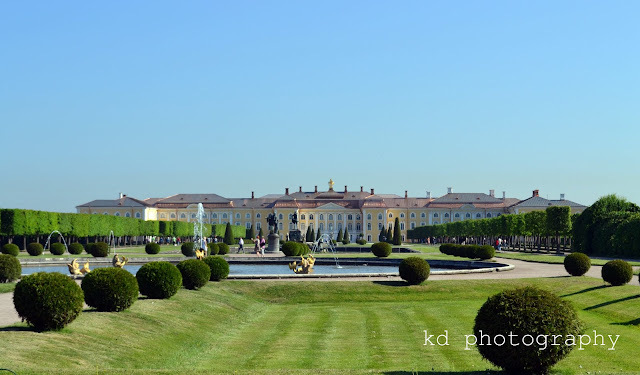 I love the well-trimmed gardens at the palace entrance. 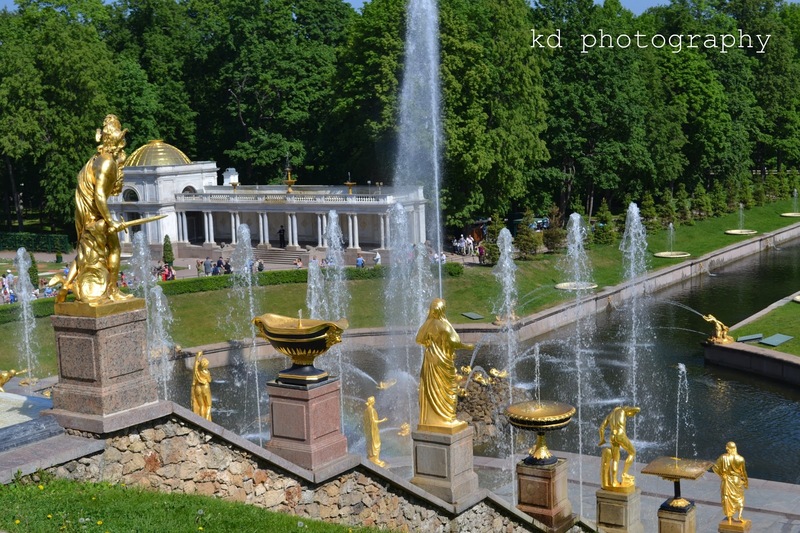 Playful nymphs and fountains at the entrance pool. 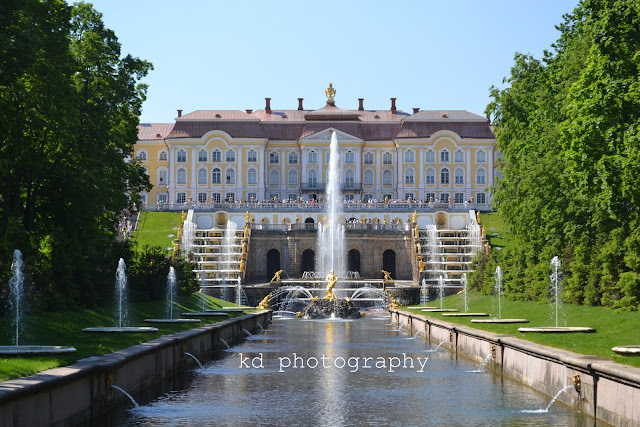 For me, the Great Cascade is the highlight of this palace. From here, you can see the waters flow to join the Gulf of Finland. On the left, you can see the Trumpeting Tritons. 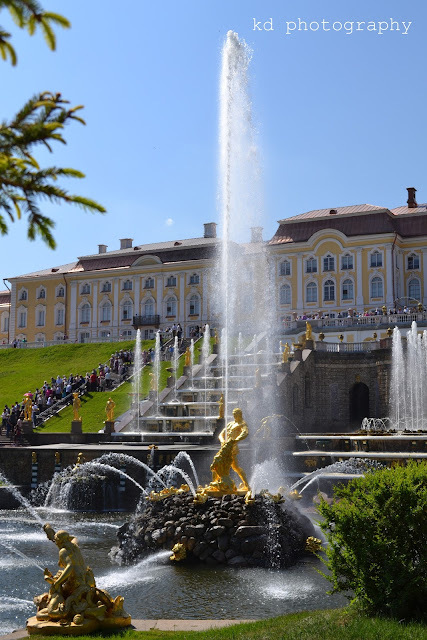 Gold statues shine underneath the Russian sun. 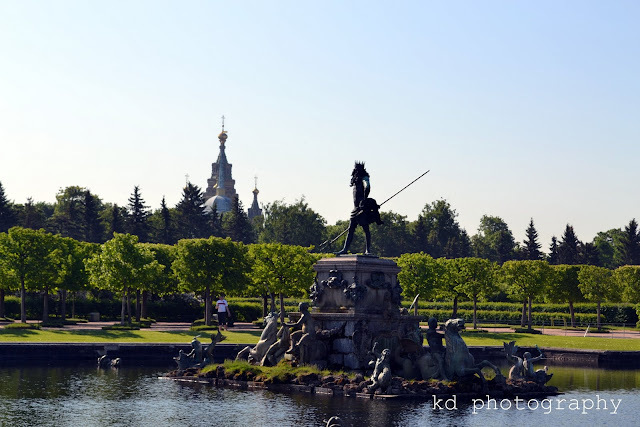 how come europe has well-kept gardens and fountains (plus castles) that span vast lands? sana dito din! Wow such magnificent fountains! That's a sight I sorely miss from my travels in Europe. 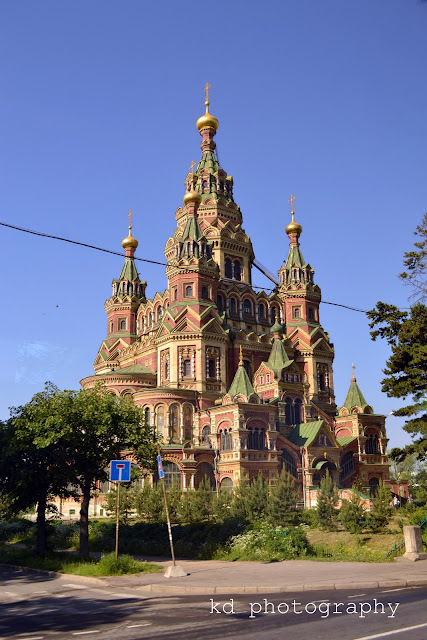 @ Grace, Russia is known for those type of domed cathedrals. I'm impressed how their gardens are so well kept and taken cared of. @ upto6only, Thank you. 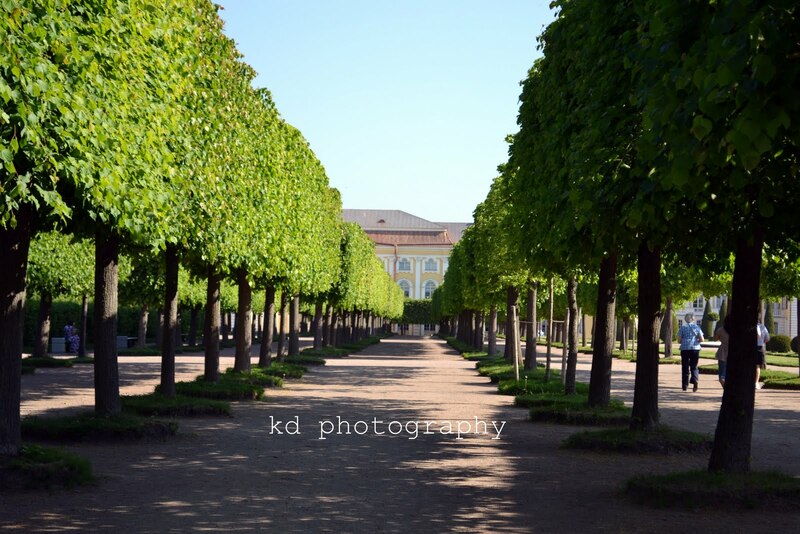 It would be nice if I can make a living with photography :). 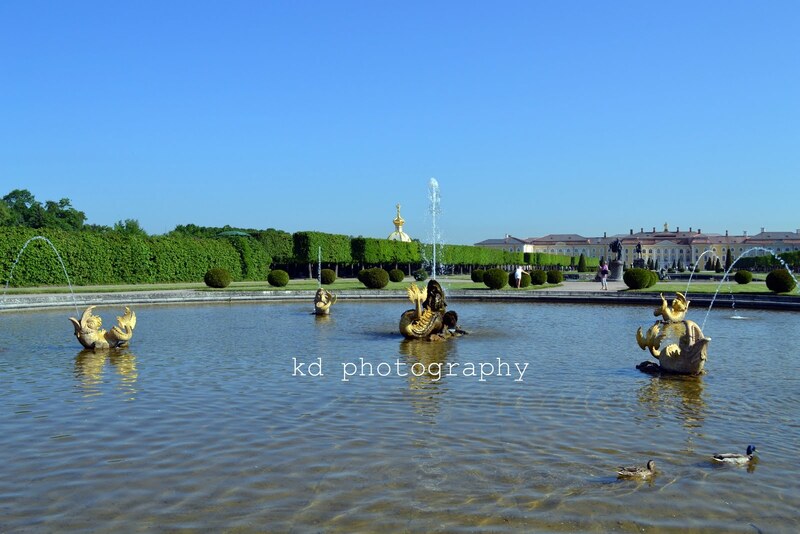 @ Daphne, For me, I love visiting Europe too because of their castles, gardens, architecture and more. Incredible. I love the cathedral, I'm salivating at that. Hoped you didn't get affected by the hurricane. What a lovely place. 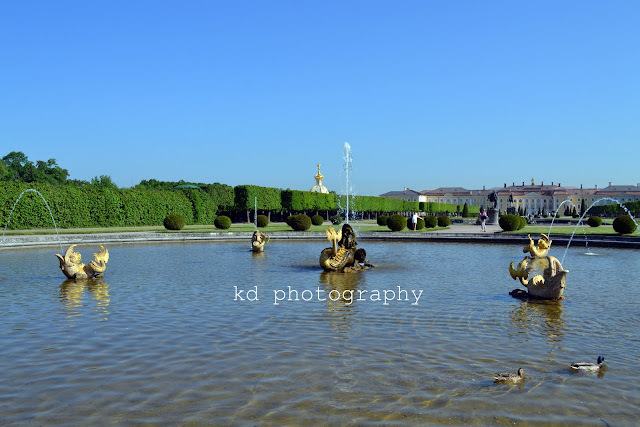 Such magnificent gardens. It all looks very breath-taking.